Founded in 1988, The Timber & Working With Wood Show went on to be a national fixture in the annual woodworking calendar. It passed through a series of owners until its most recent change of management last year when it was acquired by Phoenix Exhibitions. For this year’s events, Phoenix Exhibitions now have announced, as seems appropriate, that a new model will arise from the old. Henceforth, the Timber & Working With Wood Show is now to be known as the Timber Tools & Artisan Show. Wood will still remain the focus, the organisers advise, however audiences may now look forward to displays which take in a range of other media and craft disciplines: ‘The format is designed to inspire visitors to find a new art, learn more about it and gain the skills and tools they need to start their own journey to creativity,’ said managing director Candice Tocknell. 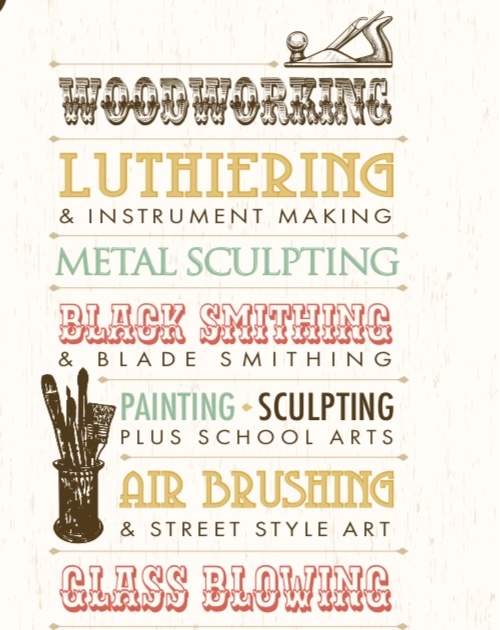 Musical instrument making, metal sculpting, blacksmithing, glass blowing, ceramics, leathercraft, painting and sculpting are some of the new things on offer. The new format will present hands-on workshops, demonstrations, kids creative space plus retail and supplier stands. This year expect to see Timber Tools & Artisan Shows in Brisbane, Sydney, Melbourne and Canberra.